← Odds and ends from 2010. This is my first winter keeping bees, and it has been fairly mild so far. 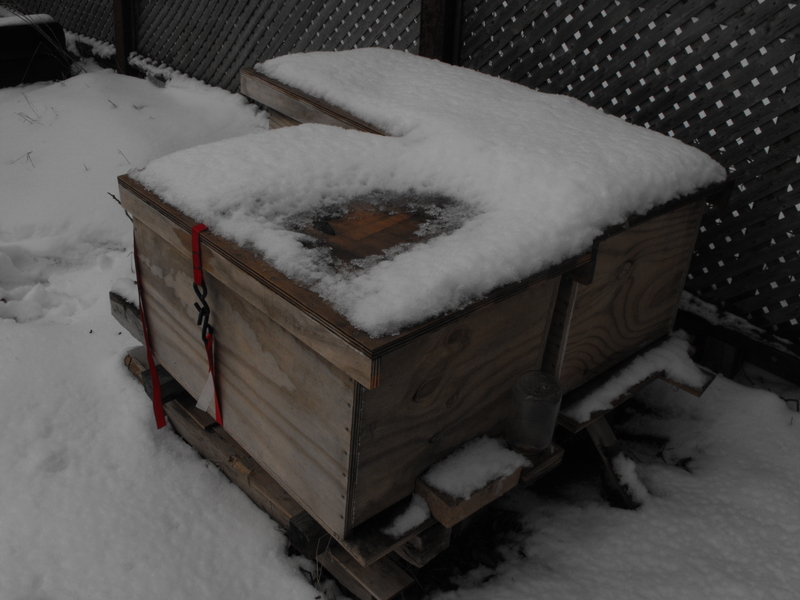 We just got our first significant snowfall on the weekend, and the bees were flying as recently as December 16th. Still, I do start to wonder what’s going on in there. How do I know they’re ok? Now that we have some snow-cover, there are some pretty cool signs that they are doing just fine. Bees survive the winter by clustering together and eating the honey they’ve stored to generate heat. A lot of heat. 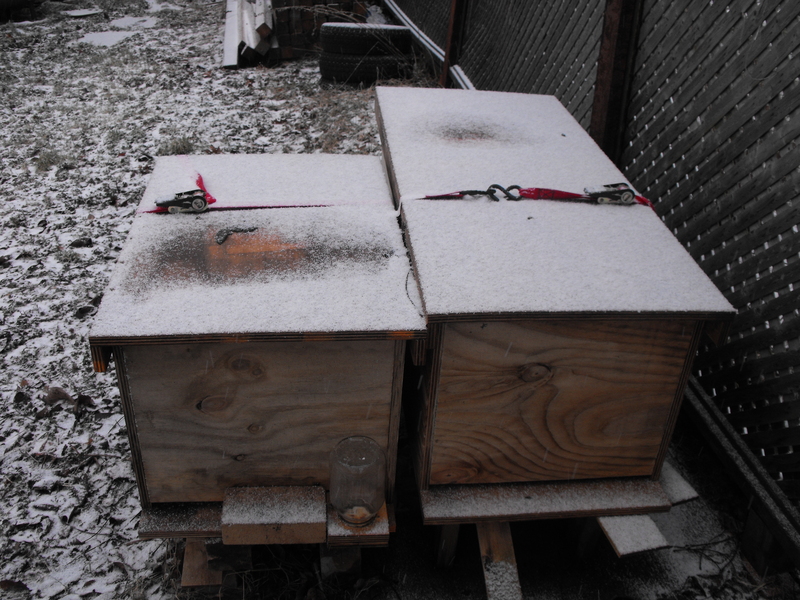 As the snow was starting to fall, you could see a couple of hot spots on the hive covers. Perhaps I should slap some insulation on them, but for now I even have an idea how much honey they’ve eaten because they haven’t had to move back into the hive much at all. Later on, with more snow down, Marjorie is still cooking. Lili’s cover is propped up just a touch, so the snow isn’t melting off it quite as quickly. 2 Responses to The bees in winter. Interesting about the hotspots! Do you keep them for the honey? Honey would have been a bonus. I kept bees purely because I love them. I used to go sit in the grass and watch them come and go as I had my morning coffee. Other times, I would play ukulele for them. Unfortunately I don’t have any bees at the moment. One hive survived that first winter, but not the next.